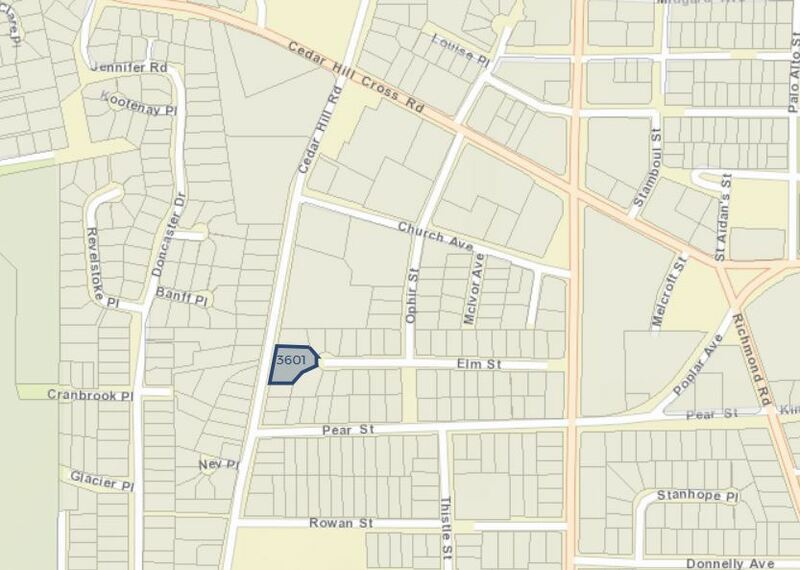 Aplomado Developments Ltd is seeking conditional approval to subdivide a ~24,655 sqft lot at 3601 Cedar Hill Road. The irregular shaped 0.57 acre RS-6 zoned lot was purchased in November 2016 for $980,000 and subsequently sold again in May 2017 for $1,625,000 to LIKE A DREAM CONSTRUCTION LTD. The original house will remain, and respect its historic roots as 1908 McMorran Residence. Developer submission available here.